On 1 July 1997, the transfer of sovereignty from the United Kingdom to the People’s Republic of China took place, officially ending 156 years of British colonial rule. Everyone was nervous but the Chinese are a pragmatic race. If you had visited Hong Kong before the take-over you will notice some minor differences. The policemen have changed their ethnicity, but uniform-wise very little. Hong Kong still drives on the left, unlike the rest of China, and the colonial buildings for the most part are retained, albeit with different utilisation and new names. Hong Kong buzzes, the container port is as full as ever, and investment is to be seen throughout. 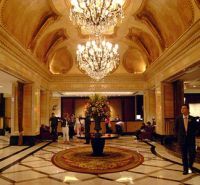 Visits to Hong Kong have always in the past meant a stay on the Island but this time around the Langham Hotel offered an excellent deal at very competitive rates. From the moment of arrival the hospitality was warm, the executive lounge seemingly always open. The Langham position is excellent, in the most vibrant part of Kowloon, with narrow streets and shops galore one side, and the Harbour City retail complex on the other. The local MTR (metro) is very easily accessible via a pedestrian underpass, and on the waterfront the Star Ferry, still only costing HK$2.50 (£0.20), is the best and quickest way to transfer across the harbour. 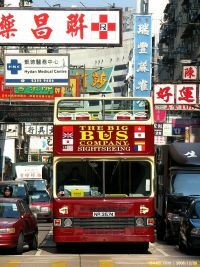 The MTR is an excellent way of getting around but to really get into the swing of the city take The Big Bus Tour. It has three main offerings. 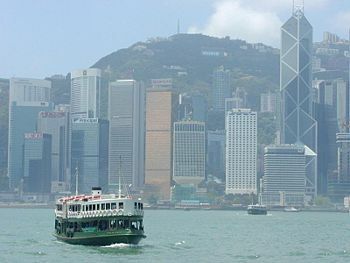 Kowloon, including the Nathan Road shopping district; the Hong Kong Island tour which includes dropping passengers off at the start of the Victoria Peak (Hong Kong’s highest point) tram ride; and the drive to the open air Stanley Market, on the southern most tip of Hong Kong Island. Stanley is great for seafood too. The Hong Kong Tourist Board has published (it’s free) a fine booklet describing a whole series of walks taking in cultural and historic landmarks. Do take in the world’s longest covered escalator, a half a mile long incline and running from Central to Mid Levels on the Island. Don’t start your journey until after 10:00 as it starts the day downhill to bring all the office workers to work. It takes in the whole cosmopolitan atmosphere of Hong Kong as it passes by shops and restaurants galore in what is called Soho. Hong Kong has a Space Museum complete with IMAX theatre. However the Colonial past is not forgotten with the Museum of History taking you from the beginning of time through to the return of Chinese sovereignty. Dr Sun Yat-sen, the nationalist revolutionary who founded modern China, is also remembered with a museum. Hong Kong is one of the world’s great cities for dining, ranging from Chinese gourmet through Korean, Japanese and of course western European. 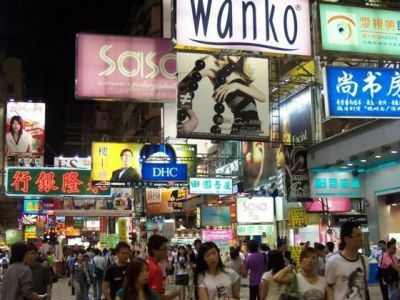 We have already mentioned the Stanley Market but Causeway Bay is another area for affordable eating. Aberdeen is one more harbour area, and hosts the Jumbo Floating Restaurant, said to be one of the world’s largest diners, capable of accommodating 2,500 people at once. The Editor has visited Hong Kong many times. He has yet to see the famous eight o’clock in the evening harbour ‘light display’ in decent weather. This time around the Peninsular Hotel’s Felix panorama restaurant was the chosen location. Even when the mist is descending the light show is a terrific sight. The hotel is a classic, dating back to 1928, but very much up to date with its cuisine and international offerings. 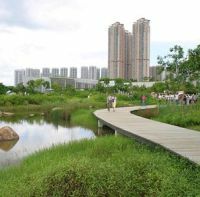 Easily reached via the MTR and the light railway is Hong Kong’s award winning Wetland Park. Created from 1998 onwards, the 150 acre facility is a conservation, education and tourism development with huge accommodation structures on one side, and to the north, across a waterway, China proper. Pathways take you through a reserve area which embraces a freshwater marsh, streams, mangroves, farmlands, fishponds, reedbeds, a butterfly garden, floating broadwalk, and three bird hides. Each species of bird has an image with a short description. An app code is given which you can zap with your phone to get to a webpage with a full description. The Wetland Interactive World is an indoor 10,000sq m galleried exhibition area showcasing the importance of wetland on biodiversity, civilization and conservation. If you have children in your charge it is an ideal way of spending an educational half day. Adults will find it equally interesting. Horse racing is the most popular sport in Hong Kong attracting a huge local following. Attending a race meeting at Happy Valley is an opportunity to experience true Hong Kong culture in a magnificent city centre setting. If you can’t make a race meeting there is a museum and racecourse tour. There is a second track at Sha Tin. Getting to Hong Kong is easy with Air New Zealand, British Airways, Cathay Pacific and Virgin Atlantic offering non-stop flights from Heathrow, and newcomer Hong Kong Airlines with its Business Class only operation from Gatwick (BTN 14 May). It is 12hrs outbound from the UK and 13hrs for the return. The airport, Chek Lap Kop, is one of the best in the world and connected to both Kowloon and the Island by the MTR. On arrival buy the Airport Express card which not only offers a return ticket but unlimited train travel on what is a much expanded system. Wi-fi is free in the airport, and on the train. Kowloon Station, has a courtesy bus service to and from the local hotels, and offers a check-in for departing airline passengers. Deposit your baggage and don’t worry about it until your destination.